I attended a really good, important, members meeting tonight organised by the British Council for School Environments. 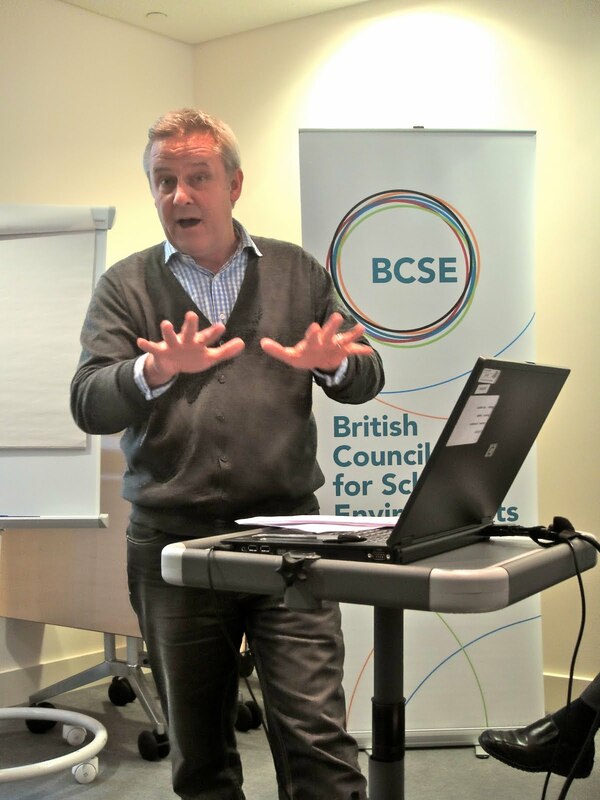 In light of recent Government announcements concerning cuts in the ambitious school building programme, the group focused on how BCSE should respond, and also discussed its future role in supporting the ongoing campaign for excellent learning environments. Naturally the focus on the Centre for School Design was also considered. This ability to be responsive and 'agile' is really important if it is going to be relevant, influential and represent current thinking of members. 'Same old same old' just does not work. The large contractors and other companies are so agile that total company reorganisations started the day after Secretary of State Michael Gove's drastic statement last week. (unfortunately the stopping of so many school schemes has resulted in in the total lost of work for many people with the added potential redundancy for lots). BCSE has to be just as agile. The turn out was excellent - so popular was it that only one representative was allowed from each organisation - a long waiting list existed that was as numerous as those attending. Attended by architects, contractors, local authority representatives, educationalists and more... whole group discussions smaller workshops took place identifying key priorities and concerns for the members. What is clear is that everyone present considered that the BCSE really does have a vital role in representing a voice for all those dedicated to new / improved learning environments fit for the third millenium. Representing so many stakeholders and trying to influence the right decisions being made by the new Schools Building Review group is a very important role - and especially so in this new and complex political environment. There is no one else to do it so we all wish them good luck! The introduction by Ty Goddard, BCSE Director, set the scene well, but it really is clear that some one really needs to strongly support, represent and help those involved with future learning environments. BCSE is a really good and useful organisation - it clearly has an important role to play for - someone has to speak on members behalf - I'm not sure that anyone else could do it better! !